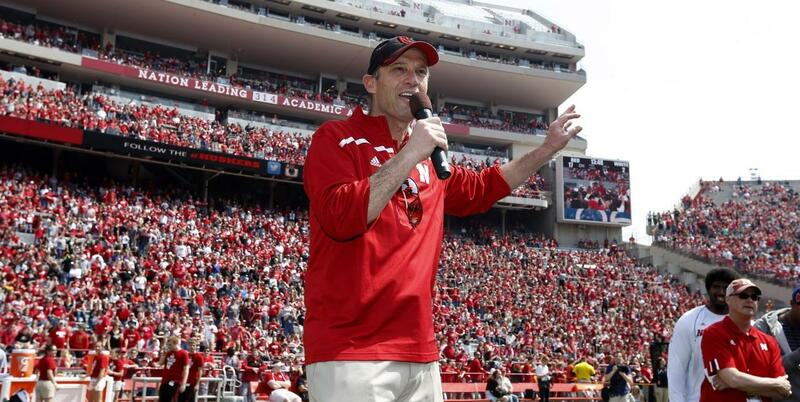 New coach Mike Riley addresses the fans. 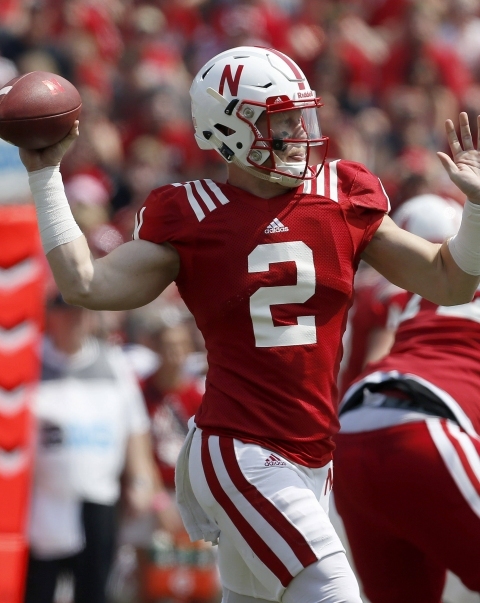 Reds Open Riley Era with Win in Front of Nearly 77,000: Nebraska ushered in the Mike Riley coaching era with an exciting Spring Game debut, as the Red held off the White, 24-15, in front of 76,881 fans. Tommy Armstrong completed 6-of-12 passes for 77 yards and a touchdown, while Zack Darlington added 7-of-11 passing for 70 yards and a score. AJ Bush completed 12-of-22 passes for a game-high 124 yards for the White team but threw a pair of interceptions. • Spring review: Who bloomed at each position? Based on Saturday, things are going to heat up quickly for Darlington. There is a long way to go, but it was certainly a nice start for the 61-year-old Riley. Armstrong likely needs not worry about a serious challenge to his position as the No. 1 quarterback. The coaching staff finally showed their hand a bit in how they’ll utilize the smorgasbord of I-back talent. The blueprint sounds easy on a 70-degree day in April. Can Nebraska stay unified during the Riley era? It’s good to see Banderas in a good mood again. That makes him much more likely to leave oppo­nents in a bad one. In year one of the transition to Riley’s offense, the big questions will be how much change, and how soon? Langsdorf and Riley are not going to force their offense down their players’ throats. This is Armstrong’s show, until further notice.